Do you want 2015 to be your best year yet? Every decision or action starts at the crossroads of choice. 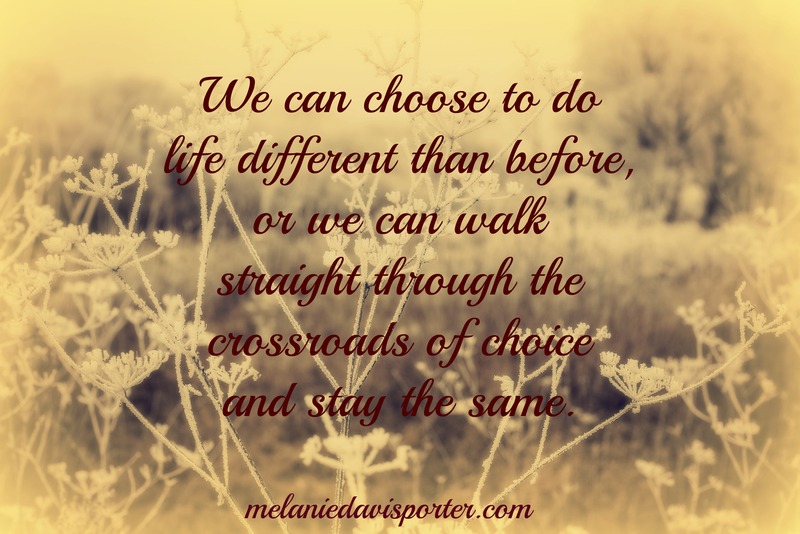 We can choose to do life different than before, or we can walk straight through the crossroads of choice and stay the same. Realistic choices serve as momentum for change; however, unless you pause and examine what is working and what is not, you will never have a different outcome. Instead of making resolutions….a few years ago I asked GOD to help me do things different. First, I prayed for conviction to change. Second, I prayed for courage to change. Most of the changes HE made in me, started spiritually…..and it all started with a simple prayer….. 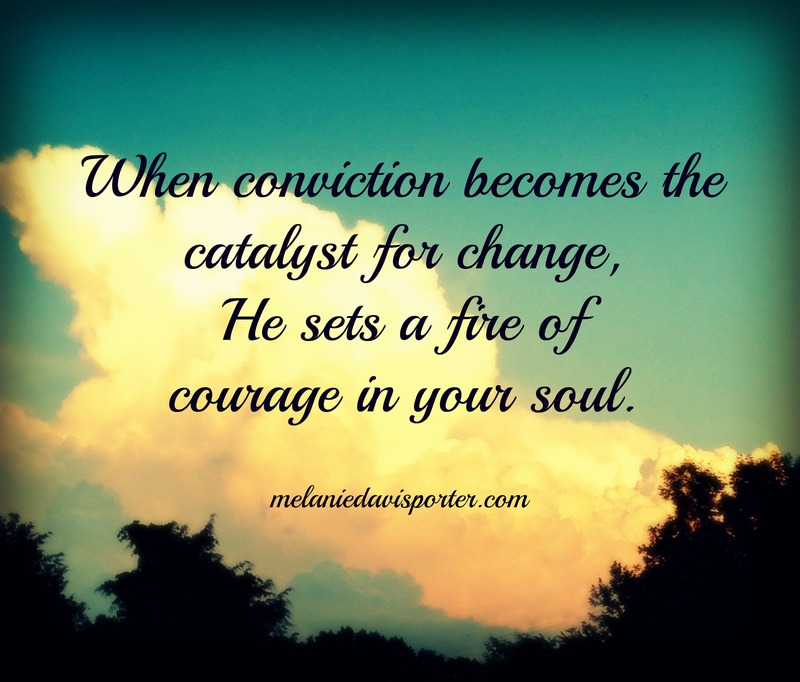 When conviction becomes the catalyst for change…….HE sets a fire of courage in your soul. I want to share with you what started the seasons of change in my life. Instead of making resolutions….I promise…if you initiate just one of these actions….it will make your life better in 2015. 1 ~ GOD has a word for you in 2015. Yes, GOD has a specific word, “one word,” that HE wants you to focus on for 2015. For example…..after much prayer, my word for 2015 is DISCIPLINE. HE wants me to zero in on becoming more disciplined. If I practice discipline in all areas of my life….I will be more productive and become more like HIM, period. Maybe your word has to do with patience, love or truth? 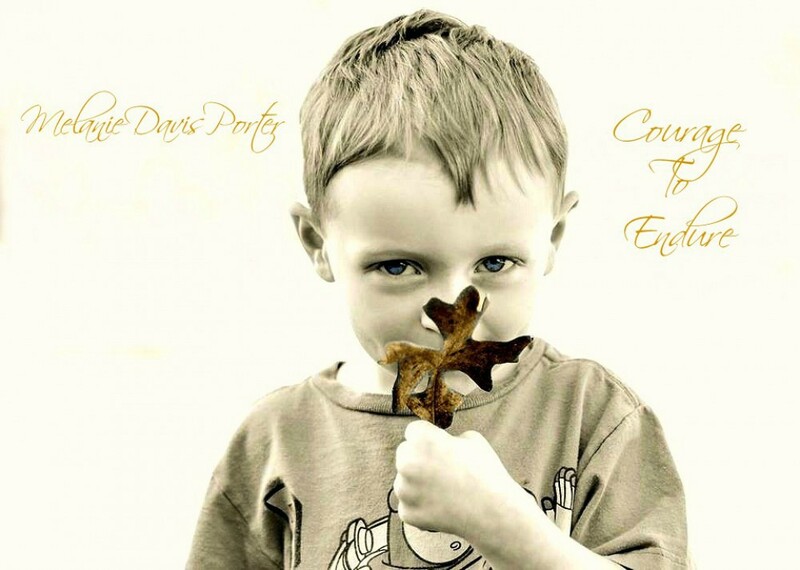 Perhaps it’s hope, compassion…or faith? Spend some time with JESUS and let HIM lead you to your “one word,” and go after it with all your heart! Journal your experiences while practicing your word. This time next year…you will be glad you did. 2 ~ Tune in to life. What in the world, right? Tune in to what is going on around you. Become aware….watch people….look for JESUS…..HE is there if you will look for HIM. Recently, I was sitting in a waiting area while my husband had cataract surgery. An elegant, petite woman in her sixties struggled as she brought in a huge man in a wheelchair. She parked him next to a chair and went to sign in. Returning with paper work, she stooped down, eye to eye with the man, and whispered something to him while smiling. His catatonic face seemed to reveal a slight smile. A few minutes later she returned the paperwork and on her way back, she stopped and stooped to meet the gentleman eye to eye, again, only this time…she lovingly caressed his cheek. The tenderness and care she gave this man….blew me away. I was mesmerized by her love, gentleness and incredible patience. When the man’s name was called, she physically strained to push him through heavy doors. Immediately I heard the spirit whisper…..”You’ve just seen JESUS.” My heart literally skipped a beat and tears filled my eyes. I had seen JESUS at work….and that changed me. I took my husband home with a new mindset of mercy. I decided to love and care for my man in the same manner I witnessed….because here is the kicker…..my husband is not a good patient. In fact…he is horrible. At his request, I usually stay away from him when he is sick. But not that day…I loved on my man….I fed him…I waited on him…I was beyond patient. At bedtime, he thanked me for being so kind to him…..and he wasn’t even grumpy. I would have missed a great blessing and my husband would have probably been a bear to tackle, if I had not chosen to show love. Instead, we were both touched by JESUS that day. Tune in to life. Become aware. Let GOD make himself, real to you in the flesh. Pay attention….HE’S all around you every day. 3 ~ Do one thing in 2015 that scares you to death. Step out of your comfort zone. You will never learn to experience GOD’S power until you take a chance and try something new. What have you always wanted to try? Sky diving? Dance lessons? Going on a mission trip? This past month, I took on a stage role for a Christmas production and it terrified me. I am usually behind the scenes but this year found me center stage, acting and singing. I hadn’t taken on a role like this since college. Fearful I would forget lines or notes….I made it through. After it was over….it was exhilarating! I felt younger, capable and by golly….it was fun! You will never feel more alive than when you face your fears and do something that scares you! 4 ~ Pick that dream up off the shelf and dust it off. Go after that dream. Chase down the regret before it’s too late. Take it in baby steps if you have to, but determine to take a step in the direction of your dream. GOD wants us to constantly be learning. HE wants us to become more. HE wants us to reach our potential for HIS glory. HE doesn’t want us to stay the same in an unfulfilled life that bores or discourages us. HE created you with a purpose. Pray for boldness, for courage, and go after HIS purpose for your life. 5 ~ Break a bad habit. You know what it is and GOD knows what it is. It may have to do with your health, personality, recreation, or your finances. Whatever it is, determine to break the cycle of behavior holding you back. I gave up sweets before bedtime in 2014. I gave up foods high in fat and started choosing healthier meals. I not only lost 25 pounds but I was able to stop taking meds for high blood sugar. With the good Lord’s help, I plan to lose more weight and get even healthier for 2015. Break a bad habit….you’ll be glad you did in time. 6 ~ Hide GOD’S word in your heart. Memorize one scripture a month. Start with shorts verses because the victory of learning a scripture, will give you momentum. Buy some index cards and write the scriptures down, then post them on your mirror, fridge, or dashboard of your car. Post the cards anywhere you will see them on a daily basis. At the end of the year you will know 12 scriptures you can recall whenever you need to feel GOD’S presence. Digesting the word of GOD is sweeter than anything you can take in. You won’t regret hiding GOD’s word in your heart. And finally, last but certainly not least…. the most important action you can choose is number seven. 7 ~ Cultivate a dialogue with GOD. I have been having a quiet time with GOD since I was a teenager; however, in the last 3 years I started dialoguing with GOD. There is a difference in reading the Bible and actually dialoging with GOD. First you must establish a daily practice of meeting with GOD. For me it’s important to start my day with the LORD. I can’t live out the day, spirit filled, if I don’t fill up first thing in the morning. Read until something jumps out at you and then break it down and ask questions. How does this apply to me? What is HE trying to teach me? What is the overall message? Keep a journal and record the answers to these questions and more. The longer you linger in HIS presence, the more HE will show you. It takes time to develop this discipline…and it may take a while before you learn to dialogue with HIM….but stay at it. I promise HE will show up and speak to you in specific ways, at specific times, that will be relevant in your life. If you will determine to seek HIM with all your heart……you will learn to dialogue with HIM. Well there you go….the choices I have made for the better over the last 3 to 4 years. My life looks completely different today and I would hate to be where I was before. Today you are standing at the “crossroads of choice” friend. Just making a choice to do something will make your life better, as well as honor GOD. What will your 2015 look like if you decide to cruise through the crossroads of choice and stay the same? Like the scripture says in Proverbs…. Do you want a repeat of 2014 or do you want more of GOD’S abundant life?